This week’s Item of the Week, the Slumber Beach Towel by Killstar, is a must-have accessory for this summer, this unseasonably warm fall, and that tropical vacation you have planned this winter. Whether you’re poolside or at the beach, this spooky beach towel is perfect for every goth beach babe. Just don’t forget to lather on that 100 SPF. 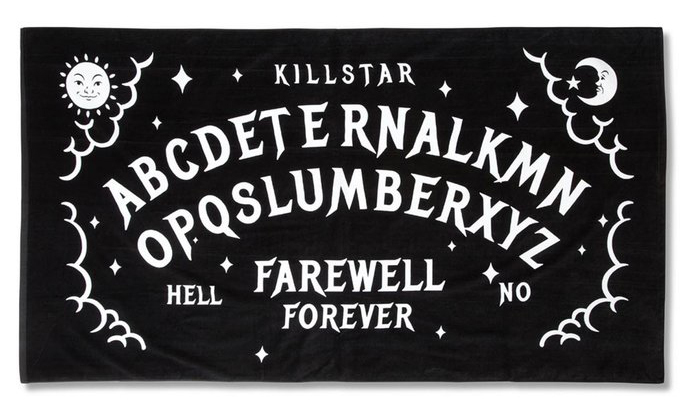 It’s a sumptuously soft 100% cotton black and white towel featuring a Ouija board inspired design and lettering reading “Farewell Forever”. The lightweight pile allows for quick drying and makes it easy to fold down to a compact size for travel. 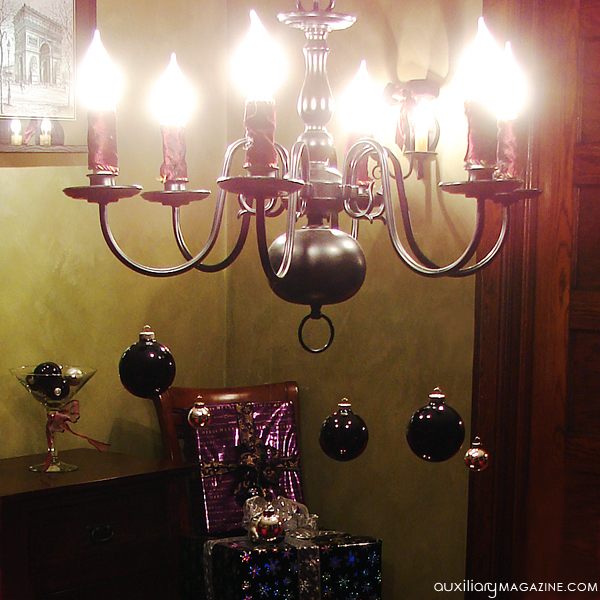 Measuring 71.5” x 40”, you have plenty of room for lounging or sharing with a fellow sea witch. Established in 2010, Killstar is a dark occult inspired fashion and lifestyle brand offering a plethora of designs that celebrate individuality. Killstar clothing and accessories are available in select retailers worldwide as well as from their online stores based in the US and UK. The Slumber Beach Towel is available through Killstar’s online store.